Bowel Cancer Australia has a wide variety of volunteering opportunities, and we'd love your help in supporting our awareness, education, support and research programs. Whatever your background, interests, or time you have available, whether its as an individual or through a staff program at work, you'll find that volunteering with us is very rewarding and challenging. Bowel Cancer Australia's annual awareness activities - Bowel Cancer Awareness Month and Red Apple Day - are held in June each year. The charity relies on the support of dedicated volunteer team leaders and team members to sell apple pins and hand out awareness flyers in their local community. If you are passionate and trustworthy we'd love to hear from you!  To get your name added to the Bowel Cancer Awareness Month Team Leader or Bowel Cancer Awareness Month Team Member registers contact us on (02) 9923 8269 or email Volunteer for Bowel Cancer Awareness Month to register your interest. We are always looking for enthusiastic supporters to help spread the word about bowel cancer awareness during specific campaign, help out with our Big Bowel Tour, or cheer on our teams at sporting events. If you would like to get involved we can add your name to our volunteer supporters register and then contact you in time to attend an event local to you. 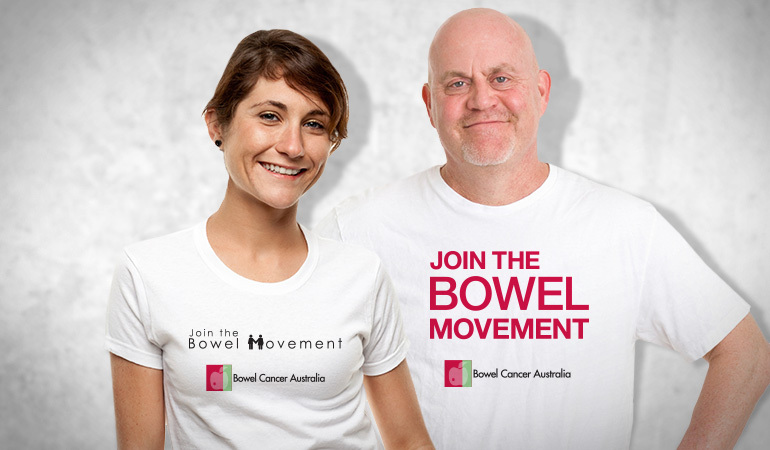 Contact us on (02) 9923 8269 or email Volunteer at a Bowel Cancer Australia Event to register your interest. Bowel Cancer Australia's Peer to Peer Network, is a voluntary network of people affected by bowel cancer, whether personally or via a family member. Offering support to other patients or relatives about their bowel cancer experience (on the phone, by email or face to face); listening to their concerns and sharing experiences (including treatment, side effects and coping strategies). Raising awareness via local media and other means, or through our Get Your Rear in Gear program. We would love your help and support in raising funds for our research, awareness and patient support programs. From morning teas; dinners; auctions; cocktail parties; trivia/karaoke nights; triathlons and fun runs; dress up/down days; wine tasting; cycles; treks; personal challenges and collections at your local philanthropic group, Rotary Club, Country Women's Association or sporting club . . . the options are limited only by your imagination! Find out more about Making a Difference for Bowel Cancer Australia. Bowel Cancer Australia's Rear in Gear program takes vital information about the disease direct to community groups and company employees in their place of work. Our Rear in Gear program has been hugely successful due to the fact that talks feature people who have personal experience of bowel cancer. Hearing directly from someone who has been touched by the disease resonates strongly with an audience and means that our messages make a very powerful statement. If you would like to become one of our Rear in Gear Case Study Presenters, we would be delighted to hear from you. All Case Study Presenters are accompanied by one of our trained Rear in Gear presenters for any booked presentations (the Rear in Gear presenter provides an awareness and education talk, while the Case Study Presenter shares their personal story and experiences at the conclusion of the presentation). We always ensure that you feel completely comfortable with the content and key messages before asking you to present. If you live locally to North Sydney, we may need you to come and help out from time to time, either for a few hours a week/fortnight/month or on a time specific project. From sending out information booklets, to making up awareness packs, and entering information in to our database - there is always lots to do at our office, and many hands make light work. Contact us on (02) 9923 8269 or email Helping at the Bowel Cancer Australia Office to register your interest.